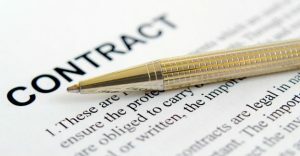 A contract means what it says, even if the two parties who came to the agreement may have understood something different. This can be a trap for the business that is not careful to ensure that the contract that it signs at the end of negotiations accurately reflects exactly what it thinks it has agreed to. It is not particularly unusual that, at the end of a period of negotiations, the contract that is finally written up does not exactly fit the terms the parties thought they had negotiated or that it does not contain all of the terms that the parties thought were relevant. A court, however, is unlikely to read those terms into the agreement, or even permit one of the parties to argue that they should have been there – at least not when the meaning of the agreement is plain from its terms. The New Jersey Appellate Division opinion in MicroBilt Corp. v. L2C, LLC demonstrates just how difficult it can be to get a court to consider that there were important terms missing from the final document that should have been included. MicroBilt signed a contract with L2C under which L2C would perform credit evaluations of MicroBilt’s potential customers and provide customer credit scores to MicroBilt. MicroBilt later claimed that L2C was also required to supply the underlying data used to calculate the credit score, which L2C obtained from a third party vendor. L2C claimed it could not provide the underlying data because its contract with its vendor prohibited the release. Relying squarely on what is often referred to as the Plain Meaning Rule, the appellate court rejected MicroBilt’s claim. The Plain Meaning Rule requires a court to enforce a contract as written, without considering any other evidence, if the terms are clear and unambiguous. An ambiguous contract is one that can be interpreted in different ways—that is, the precise meaning of the words cannot be determined from the fact of the contract. The court found that the contract was clear because L2C’s obligation was to perform the credit evaluation and return a conclusion to MicroBilt, and that “conclusion” was unambiguous because it was limited to “a score, attributes or a combination of the two.” In other words, L2C’s obligation to provide a conclusion did not include the underlying data. Further, because the contract was “unequivocal and lack[ed] any ambiguity,” the court would not consider MicroBilt’s evidence that the parties understood that the data would be supplied. The MicroBilt case is a good example of why businesses should make certain that the language of the contracts they enter are not only clear and unambiguous, but also include everything expected from the contract. Essentially, the business executive needs to understand that, in many cases, the court will not “rewrite” or “fix” a contract if it is clear and unambiguous and will not provide the product or service desired. The Plain Meaning Rule encourages parties to enter enforceable written contracts by using clear language, but that clarity also draws sharp lines around the obligations of the parties. Those sharp lines can exclude what one party may have wanted to include and leave the disappointed party with no options.